This is the second post from my recent cane harvest. I harvested a bunch of cane from the Ventura river and dried it out. Now it’s time to get to the rest of the cane processes. First I cut the “knuckles” out of the cane. These are the connecting sections of the cane that hold the shoots together. Since these knots are unusable it’s import to take them out without removing any extra cane, so I cut as close to the knots as I can. At this point all of the cane is free of the joints. 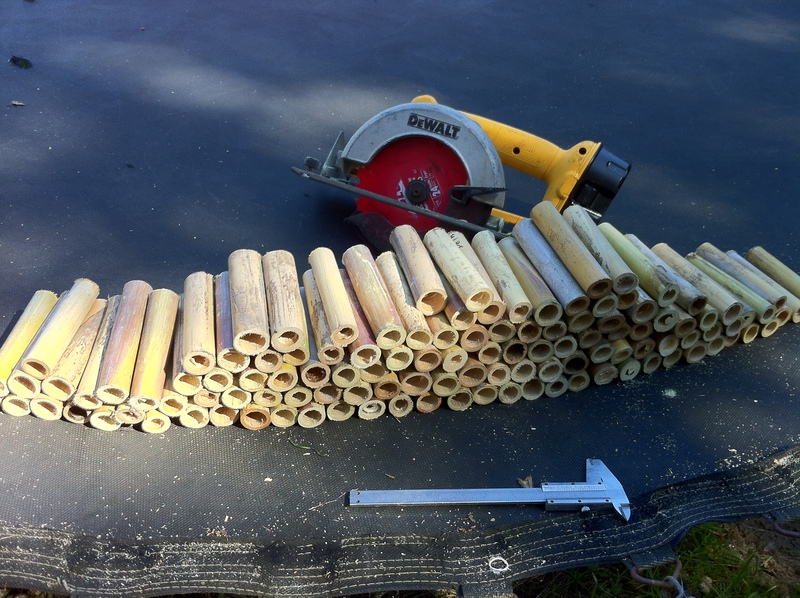 This will help all of the sections of cane to dry more evenly. Some of the shoots were in the middle of a stalk of cane, and weren’t uniformly exposed to air. Now with a caliper, I measure out every shoot of cane and mark the cut. I cut my cane to 120 millimeters because this fits all of my equipment. It’s important to keep in mind that cane continues to shrink as it dries out. So when cutting in the last few stages, its better to leave a millimeter or two extra. After all of the cane is cut to size, I store it vertically in a plastic bin. I leave the lid off and rotate it once a week since it is still drying out. 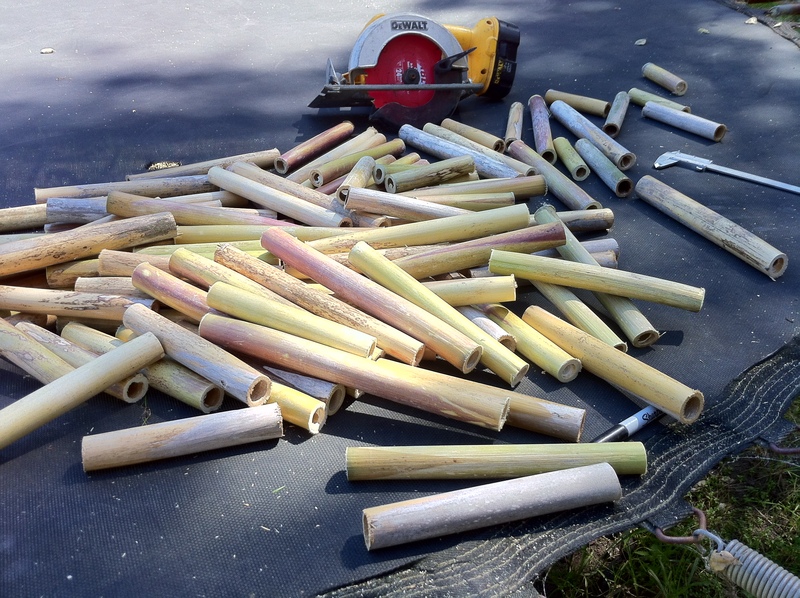 Home grown and harvested tube cane isn’t as pretty as store bought tube cane, but it cane be. Cane companies add a few extra steps like steam cleaning (which also sanitizes) they also sort out pieces with color variations. 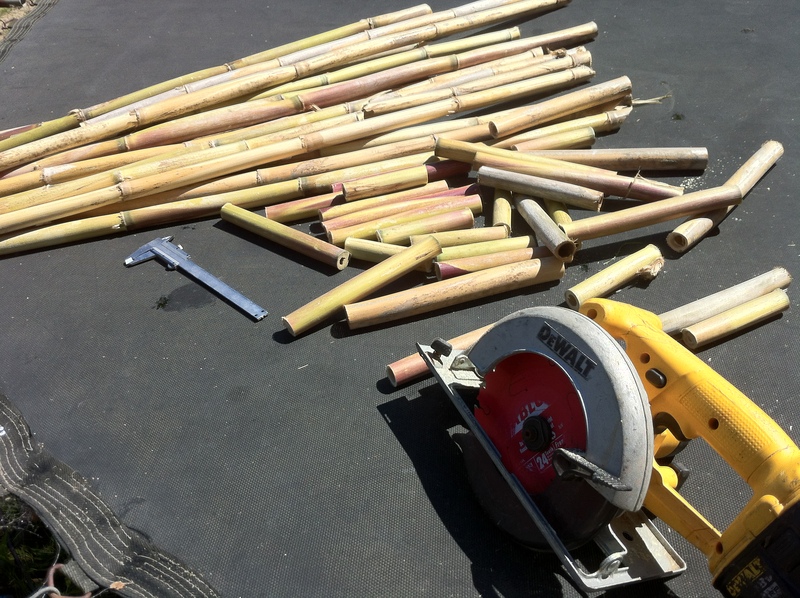 Home harvested cane isn’t quite as reliable as store bought cane either, not every piece cane be expected to become a good reed. Like many players, I am always on the hunt for another bocal. When I was first getting good at the bassoon I was very happy with my sound and then i tried a new bocal and my sound was all of the sudden SO much better. I think that experience created new way of thinking, that there is always a richer more vibrant sound that i can achieve. So now I have a bit of a bocal collection going. I really only use one bocal everyday and then I have some specialty bocals. I have: Fox *CVX*R2, *CVX*2, CVC2, CVC3, C and then a few no name bocals that came with my student instruments. I am not a very big fan of Fox bocals but when i try a batch of them i usually find a good match in there. Fox bocals have also in my experience been the most consistent. I have had a few used Heckel bocals sent to me on consignment and there is a drastic different between two bocals of the same model. I purchased a Fox *CVX* R2 last spring and so far it has been the best bocal I have paired with my Fox 601. It has very little resistance and great pitch control for low notes. The high notes are a little harder to get out than on my *CVX*2 which is the only reason i have a *CVX*2. My two CVC bocals came with my current bassoon and for me they aren’t as vibrant as i would like them to be, they tend to be a little muffled and don’t have the high notes. I am VERY lucky to work down the street from Forrests Music. After work or on lunch breaks I often go over to test used instruments and bocals. I have gotten the chance to try out the Paraschos bocals and the Leitzinger bocals. The Paraschos bocal comes in two forms, one as basically solid wood and the other lined with metal. In my experience the Paraschos lined with metal seems to be more resonant and the solid wood version muffles my sound. These bocals are also new so I’m not sure how long their live expectancy is (cracks etc.) Now the Leitzinger bocal is another recent addition or at least in the last few years. There are so many different specifications for these bocals; alloys, length, bend, plating and taper. I haven’t gotten to try all of the different options by far but for the few bocals I tried they seem to be very open and vibrant. Easy playing in all ranges but again i think certain models are better suited for the highest playing. Id seriously consider a Leitzinger as my next new bocal. Last week I tried the Leitzinger bassoon as well, it seemed to me like more of a gimmick. 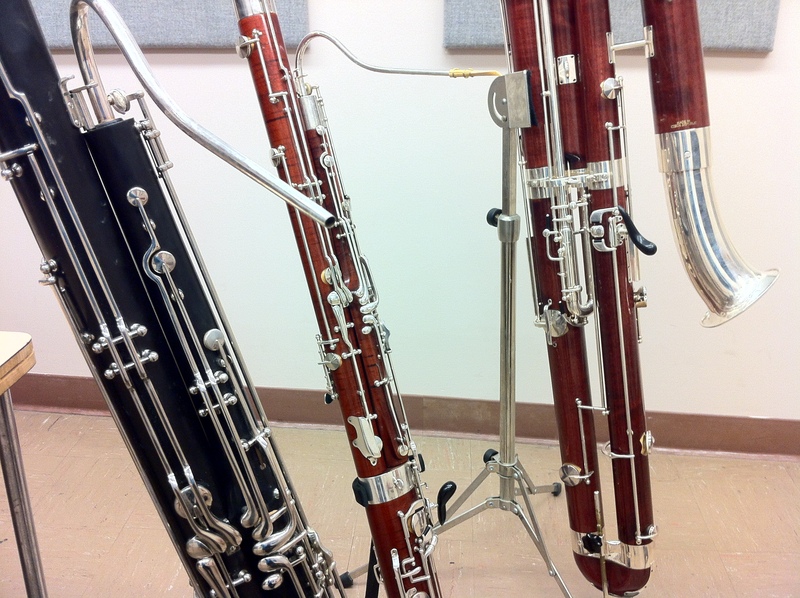 Like they have great bocals and now they made a “bassoon to match.” It’s priced “competitively” at $24,000. I only got a few minutes with one, and I know that we are all used to our own instruments but the pitch and projection wasn’t even as good as a Fox 240. The f# and g# keys also must have been drilled incorrectly because anything involving those two keys was uncontrollably sharp and had far too much resistance. Recently I have been teaching my students lessons that have been based around their own interests. A few of my students have been interested in contra and so I’ve brought in the contra for them and some of my student have been interested in reed making so I taught them about reed adjustment. I think that it is important to break up the gloom and doom of regular lessons, etudes, and scales with something that really pique students’ interests. 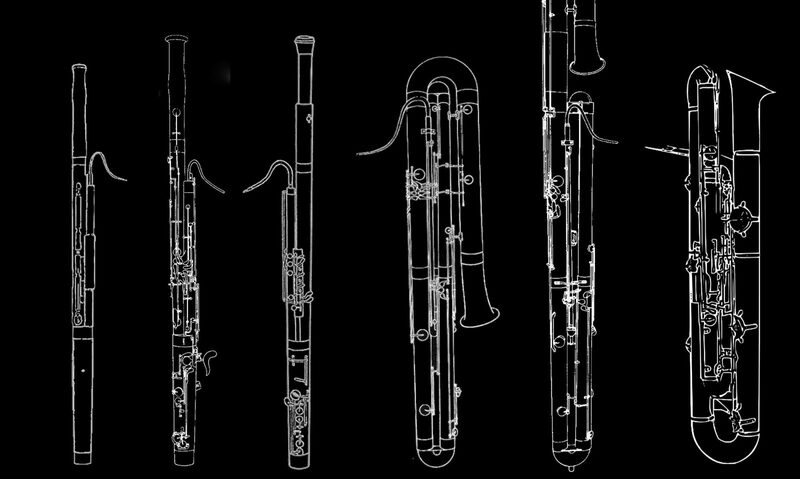 Most bassoonists think its very fun to try new equipment, and playing contrabassoon is a useful skill for learning bassoonists. Beethoven Symphony No. 4, last mvt. Two complete works of contrasting styles and periods; one must be a concerto. Four or more standard orchestral excerpts. Two contrasting movements from a Baroque, Classical, or Early Romantic sonata or concerto. Two contrasting movements from a Classical or Romantic sonata or concerto. Two contrasting movements from a contemporary sonata, concerto, or unaccompanied piece (or a one-movement work in its entirety). I have the great advantage of living by a field of naturally occurring Arundo Donax. My mother lives in Ventura, California and the Ventura river, from the Ojai river, is infested with an unending source of cane. The easiest place for me to collect this cane is where the river meets the Ocean. The is however a problem with this cane, since it grows basically on a beach, it is very weathered and dry. From what I have experienced so far, much of this damaged cane makes very soft reeds. The sun, sand, salt, wind, humidity, and temperature take much of nutrients from the cane and leave it very porous and soft. The best cane is in the middle of the fields, so it takes a bit of work to get to, but this cane is the most protected. All of the pieces I have cut are in different phases of the drying process. I have read many articles about the drying process and what some of the big cane producers do. First I have read from two separate sources to harvest cane the day after a full moon. “the pitch is up” and something about the gravitational difference of having the moon high in the sky during the day pulls resources from the roots into the fibers. From there on the process is very different company to company. Most french companies keep the cane outside to dry in a “teepee” formation for a whole year. Where as the Rico company keeps the freshly harvested cane outside in the sun for 10 days and then moves it all into huge indoor storage facilities and large ventilator fans. For my part I am going to harvest enough cane to allow me to try a number of different methods. Some I will leave outside, others will stay mostly inside, and others I might cut to shorter segments to see if it will dry faster. 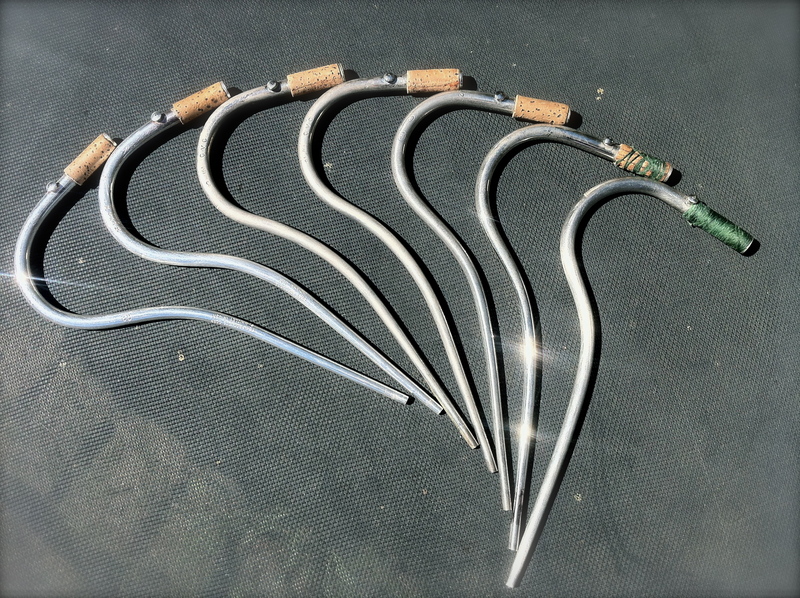 Most of the pieces I cut are 5-6 segments long and so ill have different sections of the same cane to work with. Ill be sure to post pictures of the reeds made from this harvested cane! A few years ago, around 2008 I purchased my current bassoon. I had an intermediate bassoon up until that point and I decided to shop around for something new. I was going to attend the San Francisco Conservatory of Music that fall and so I needed an instrument that was going to help me learn. I had a great time shopping around! I justified to myself that since this instrument was going to be my main instrument for the next few years, I should try as many as I want. 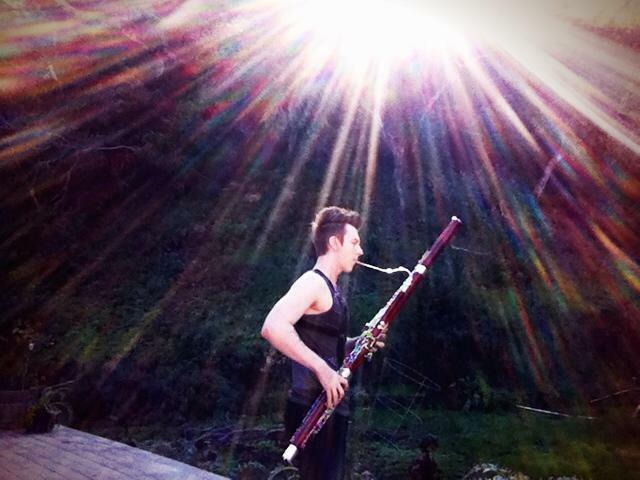 I had many bassoons sent to my house to play test and I had a few of the overlap. I used a few different websites as well as a few players that I knew were selling. In total I tried 3 Fox 601s, 2 Heckels, a Püchner 5000, a Moosmann 222A, and a Bell. I initially really gravitated towards one of the Heckels based on sound alone. However It didn’t have the modern extras that I knew I needed, it didn’t have high E or any rollers. The other Heckel I tried had a very even scale and came with a few amazing bocals but it was very stuffy and and had little projection. The Püchner and Moosamann were actually sort of similar and I was very impressed by the Moosmann. It had many extras , extra keys and such but I found the instrument to be very heavy and the sound took a bit more work to get going. I felt like I had to push make it sing. The 601s were the most fun for me, I was surprised at how different they were from each other. The Fox 601 has a great projection, tone, and it’s very flexible. The Fox had that bright sparkling core of sound that drew me to play the bassoon in the first place. Now between them I found that the oldest one was the better one. The Fox i chose was is from 1997. The others were from 1998 and 2002. I know that the new 601s are a bit different especially with brighter tenor register. I have a french whisper key, A flat B flat trill key, and the A flick key to whisper key bridge on my bassoon. I have really been impressed with it so far. My playing has completely changed while Ive been in school, and I seem to appreciate it’s sound more and more.